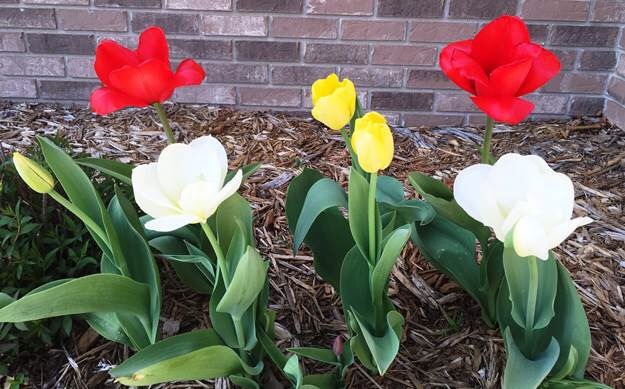 SPRING IS FINALLY HERE – SEE THE TULIPS THAT ARE BLOOMING AT McPHERSON LAW OFFICES – BUT NO WHERE ELSE IN SOUTH FREEPORT! Unfortunately, due to the deer problem in much of Freeport, people will no longer plant tulips since the deer will eat all of them. Of course, the deer now will eat anything that grows. Where have all those beautification people gone, and the $50,000 that Mayor Gaulrapp gave them a few years ago? Let’s fill the food pantries with venison home grown in Freeport! The deer have done thousands (more than $250,000 which is a conservative estimate) of dollars of damage to expensive plantings in this community, but no one seems to care in Freeport. I say this – No public funds for landscaping in Freeport until the deer problem is addressed! This entry was posted in Uncategorized on April 18, 2016 by Good Day Illinois. ZIKA VIRUS COMING TO MIDWEST THIS SUMMER – LYME DISEASE AND NOW THE ZIKA VIRUS! You thought you only had to worry about the West Nile virus spread by mosquitoes biting infected birds. We also have Lyme disease being spread by ticks biting infected animals, especially deer, which in the City of Freeport, Illinois are running rampant throughout the City as evidenced by deer crossing signs in the middle of the City. Frankly, when I see such signs, it always amazes me because I did not know that deer could read. 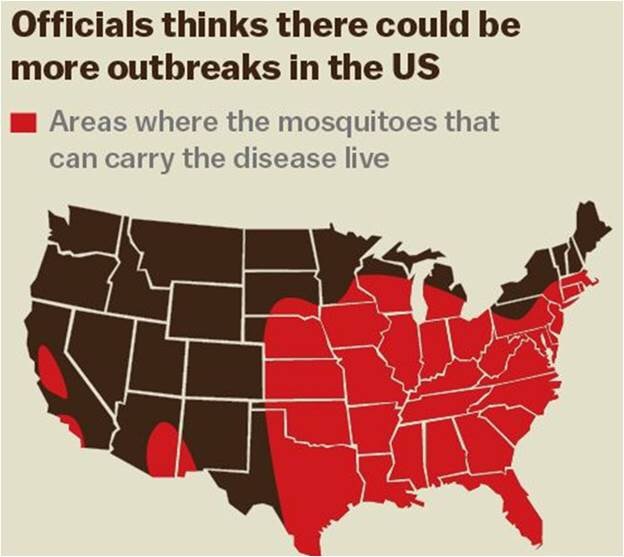 Now, we have the Zika virus which is also spread by mosquitoes, and the CDC (Center for Disease Control) predicts these infected mosquitoes will be in the Midwest this summer. It looks like the only safe place will be inside until the first killing frost in the fall which will kill the mosquitoes. It has been rumored that alcohol in the blood in the range of .02, well under the legal limit of .08, will cause mosquitoes which bite individuals with some alcohol in their blood to lose their sense of direction and fall to the ground. The CDC is researching the effects of alcohol on mosquitoes carrying the Zika virus, and will report its conclusions shortly. Perhaps, the CDC will soon recommend a drink day will keep the Zika away! This entry was posted in News and tagged zika virus on April 13, 2016 by Good Day Illinois. 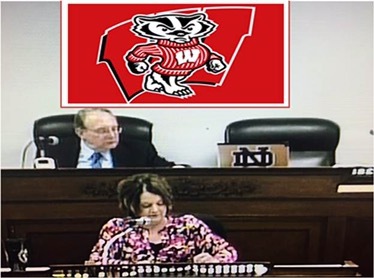 I AM NOT A BIG FAN OF RETIRED CITY EMPLOYEES SITTING ON THE FREEPORT CITY COUNCIL VOTING FOR HIGHER TAXES TO SUPPORT THEIR PENSIONS! Michael Koester in the Journal Standard on April 10, 2016 wrote an article in support of one of his fellow public employees. Frankly, I don’t care for Mr. Koester. He is in the same category as the Wenstroms who write a weekly column for the Journal Standard. The Wenstroms are also promoters of higher taxes in the State of Illinois. It may be time that Mr. Koester leaves the Freeport City Council so he can join his fellow retired public employees, and then tell the taxpayers each week in Freeport why they can and should pay higher taxes. I might add that in Freeport we have many great public employees who appreciate the citizens of Freeport. Unfortunately, Mr. Koester is not one of them. This entry was posted in Uncategorized on April 11, 2016 by Good Day Illinois. The Freeport City Council will be meeting on Monday, April 4, 2016 at 6:00 pm at 524 W. Stephenson Street, 3rd Floor. You can watch it live on Comcast Channel 17. One of the more interesting items on the agenda is the ordinance to eliminate the City’s Legal Department. In the last 40 years Freeport’s population has not grown, but the size of City government has continued to grow. 40 years ago Freeport did not have a legal department, but retained private counsel for the City’s corporation counsel. Today we have a separate legal department with a full time corporation counsel, a part time attorney retained to prosecute ordinance violations, and other attorneys retained for “specialized” legal work. Of course, there is the need for office space, equipment, and support staff, all at taxpayer expense in city hall. Every time Freeport hires more firemen, policemen, and other city employees, it is not just the cost of the salaries. You must add on the present benefits for each employee plus the cost of retirement benefits. The State of Illinois is on the verge of bankruptcy due to the horrendous pension obligations incurred by state government, and the City of Freeport is headed in the same direction. Any time you can outsource government work, you normally will save money in the long run. This would certainly apply to the City’s legal department. The City’s legal department should be eliminated. It is luxury the taxpayers of Freeport cannot afford. This entry was posted in City of Freeport, Politics on April 3, 2016 by Good Day Illinois.